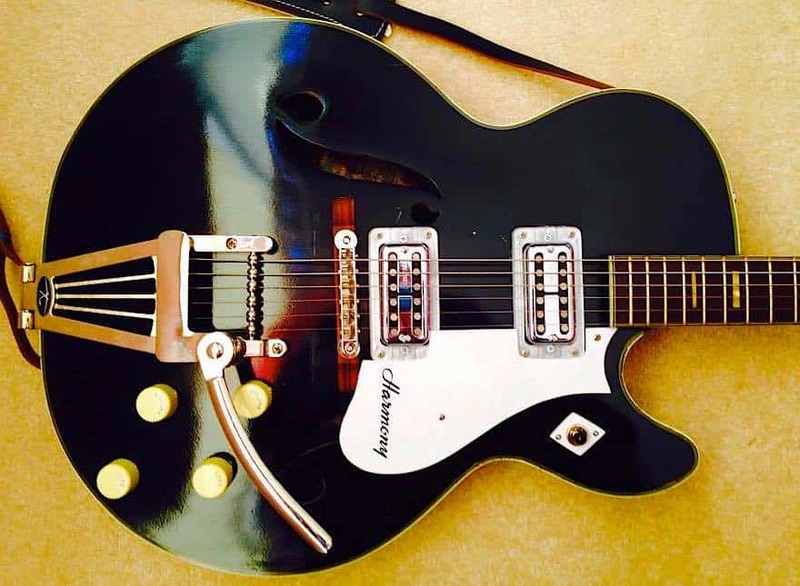 Keith Richards used a Harmony Meteor to record the first two Rolling Stones albums. I found this cheap on eBay in terrible shape: The seller really screwed it up with a bunch of stupid non-period-correct upgrades and sprayed the body black. 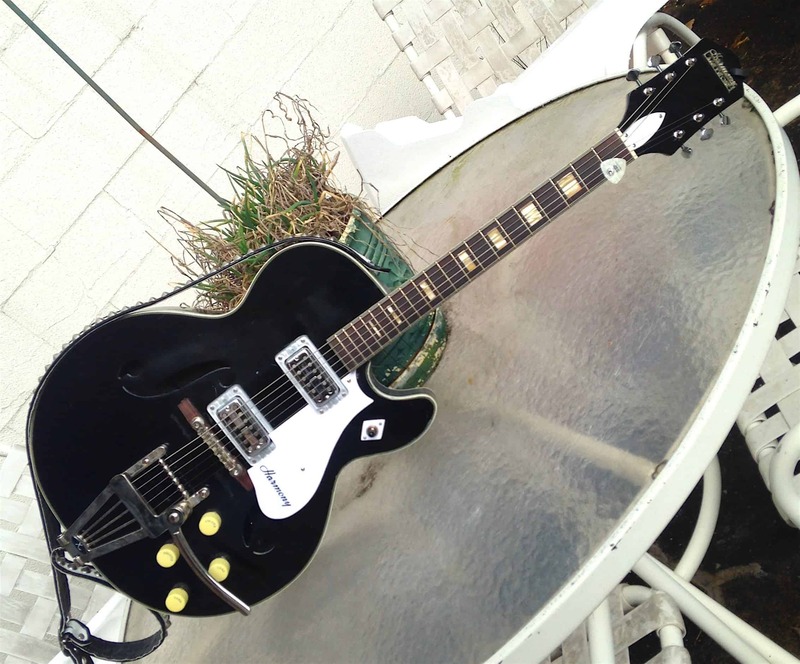 Since it had already been painted, we made it look similar to a Silvertone 1446 (the so-called “Chris Isaac” model) with a white pick guard, and original “cupcake” knobs. The previous owner installed the Magna’Trons (which are probably worth more than the actual guitar), but because the neck is so narrow the strings do not line up with the pole pieces…derp! 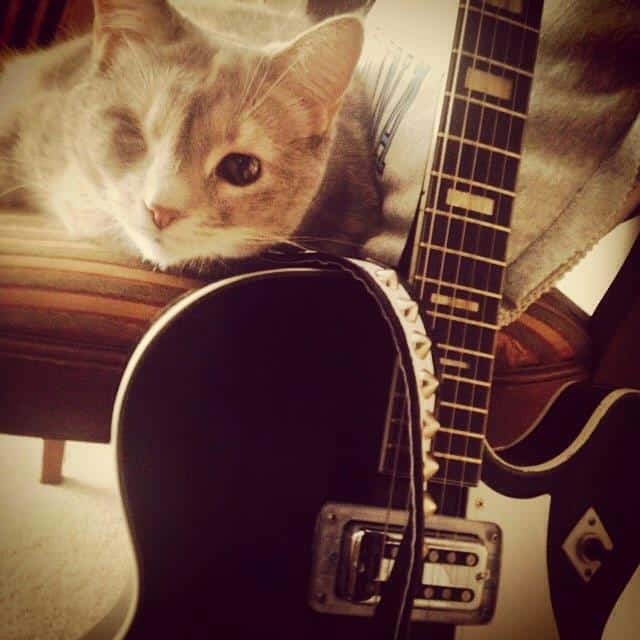 This is a work in progress, and I am on the lookout for a pair of pickups similar to the Seth Lover designed mini-humbuckers used on the 1446, and the unique hex shaped plastic pickup ring/bezels. Meanwhile, I can still get some cool sounds out of it, and it’s thin-bodied and super comfortable to play. 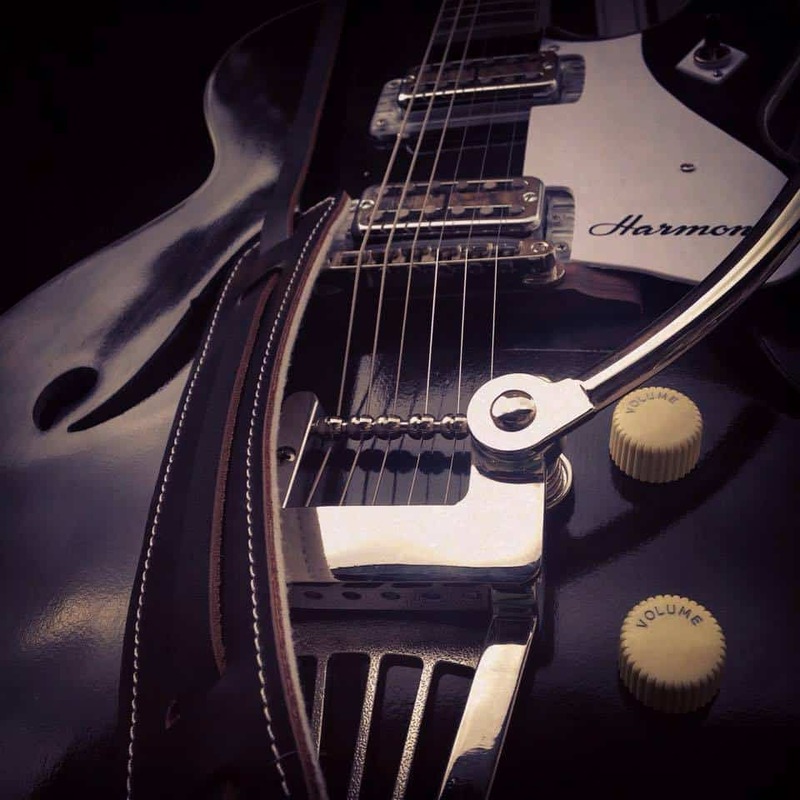 The Guitar Fetish X-Trem is a good cost-effective Bigsby copy, though I put in a stiffer 1″ spring to give it more resistance. 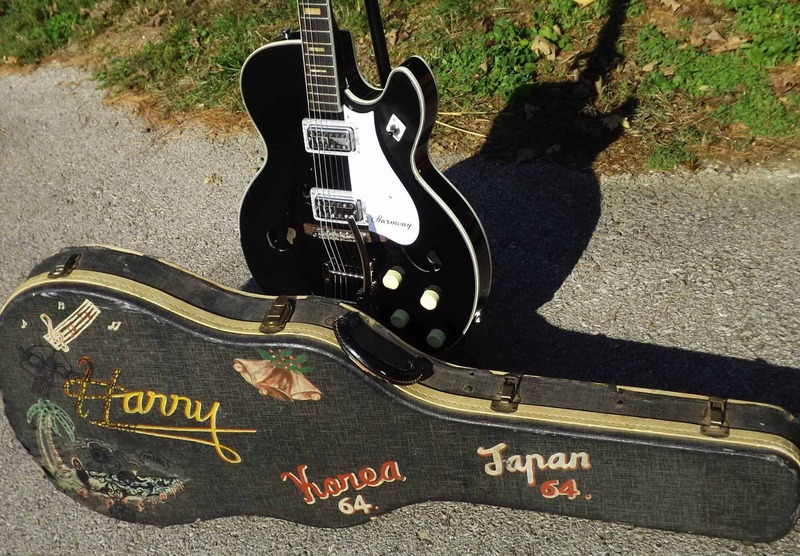 The guitar came with the original hardshell case, which had been hand-painted by the original owner, who I presume was in the military. Loaded with D’Addario NYXL .10-.46 strings.